Investing in property is often assumed to be a wise and safe long-term venture. It has just been announced that the Council of Mortgage Lenders has downgraded its buy-to-let lending forecasts for 2017 and 2018 due to tax and regulatory burdens in the housing and mortgage markets. As a result, the CML expects buy-to-let lending of £35bn in 2017 and £33bn in 2018. That said, buy-to-let mortgages can offer a high return for savvy investors who are willing to plan carefully and accept financial advice. What is it that makes buy-to-let mortgages so popular, what are the benefits and are they something you should consider? By having a BTL mortgage, you could be gaining a steady second source of income even after allowing for tax and other necessary deductions. With this extra cash, you could choose to invest it or put it towards your retirement, or increasing your final pension amount. When investing in property, it’s natural to hope for the value to appreciate in time. This growth in a property’s worth is also known as capital appreciation. When you decide to sell the property, it’s likely you’ll see an increase in the sale price compared to what you originally paid. This, added to the potential second income from your BTL property can make this a lucrative venture. It’s worth remembering that there will be a Capital Gains Tax which will need to be paid. So, when estimating your total profit remember to deduct the Capital Gains Tax which is applicable to only the amount of the gain received. If your current salary doesn’t allow you to buy property under standard mortgage requirements, then obtaining a BTL mortgage may be an alternative to allow you to enter the property market. To qualify for a BTL mortgage, you’re assessed on the potential rental income and often your personal income as well. It’s worth keeping in mind that although you may not need to be earning huge amounts, you will require a large lump sum of money for the BTL mortgage’s deposit, which is generally higher than a standard residential mortgage around at least 25% of the property’s value. Portfolio mortgages are created specifically for landlords who have more than one buy-to-let property. You need to be aware of the new rules that are to come into place. From 30th September 2017, any landlord who owns four or more mortgaged BTL properties will have to submit their mortgage and income details each time they refinance a property or buy a new one. With mortgages becoming increasingly hard to get, more and more people are living in rented accommodation. 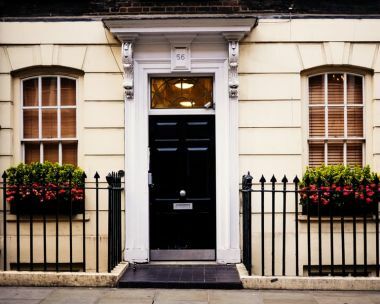 This trend in rented living looks likely to continue as the Office for National Statistics showed that London’s private rental prices grew by 2.1% in the 12 months to January 2017, meaning there is a thriving market for BTL properties. By investing in a BTL property you’ll be capitalising on the continuing high demand of accommodation to rent. Along with filling a gap in the expanding rental market, you could earn yourself a profit. Because most BTL arrangements are accessed via intermediaries, going directly to a bank could give you restricted options. By using a financial advisor, you can be sure you have access to a wide range of deals to ensure you get the best deal for your circumstances, as well as receiving expert and impartial advice on your individual situation. IMC has access to over 1,500 mortgage products giving you a wealth of options and the freedom to find the most suitable deal for your property goals. To explore your BTL mortgage options, call IMC today on 020 3553 9340 or email us at info@imcfs.co.uk.